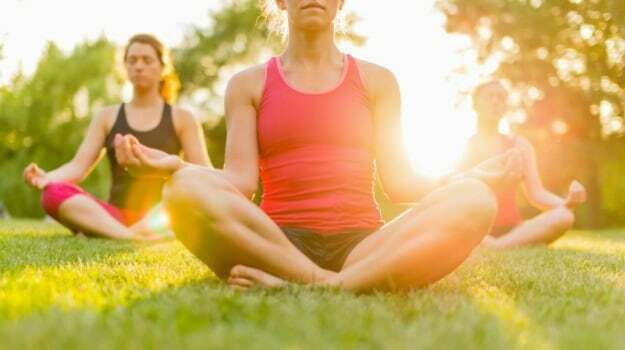 Modern day yoga with its plethora of asanas: surya namaskar, savasana, kapalbharti, the warrior pose or the child's pose, is popular more as a fitness trend than a stepping stone to your spiritual journey. It's all about flexibility, weight-loss and physical strength versus what it was about almost 2000 years ago which was inner peace, a calm mind, self-realisation and a process of mental purification. Maharishi Patanjali, the founder of modern day yoga and author of Yoga Sutra defines yoga as "a technique used to control thought waves in the mind". He had said, "Yoga isn't just exercise, it's a state of mind". In India and around the world, the number of people who consider yoga to be a workout most definitely exceed the number of people that see yoga in its spiritual context. According to Gary Kraftsow, author of the book Yoga for Transformation: Ancient Teachings and Practices for Healing the Mind, Body and Soul, "Our tendency today is to think of physical fitness and health in terms of measurements or standards of performance like the ability to run a marathon or do a bench-press. We bring this mentality to asana practice, so many have the impression that it is about performance and that we can measure our progress by our ability to perfectly perform the postures." However, ancient texts like the vedas link the tradition of yoga with five human tenets: the physical body, vitality, intellect, personality and heart. So they base the concept of physical fitness with a feeling of lightness in the body, an ability to withstand change, a stable body and a focused mind. With time, yoga was further broken down into different types, each addressing a different need of the body and based on a different set of beliefs, practices and rituals. G.K.Devanand explains this in his book Teaching of Yoga, "An active person can realise his divinity through work and duty with Karma yoga, a religious person through Bhakti yoga, an intellectual person through knowledge and Jnana yoga and a meditative person through Raja yoga." But the types of yoga you see these days are remarkably different from the ones that existed hundreds of years ago. They've evolved and adapted to the needs of the modern day man. You may have noticed them on your gym schedule, but now we're going to take you through a brief history of each along with their benefits. Ashatnga Yoga literally means eight-limbed yoga and was conceptualised by K. Pattabhi Jois. Maharishi Patanjali described this type of yoga as a way to reveal your universal self through eight spiritual practices or eight limbs that need to be practiced. 1. It improves blood circulation and calms the mind. 2. It helps develop strength and flexibility. 3. Helps tone muscles and lubricates the joints. 5. Supports mental clarity and brings you closer to self-awareness. 6. Massages internal organs and helps release chronic tension. This is one of the oldest branches of yoga that originated in ancient India. In fact, certain Hindu traditions even believe that Shiva is the founder of Hatha yoga. According to the principal texts of Hatha yoga, the human body is made up of networks of subtle channels called nadis. Hatha yoga helps in purification and balancing of the nadis through the process of asana, pranayama and mudra. Hatha yoga is all about using different postures to drive energy to specific parts of the body. It's the umbrella under which most styles of postural practice fall. 1. Helps eliminate toxins and build immunity. 3. Corrects the malfunctions of glands. 4. Helps in calming and de-stressing. Iyengar yoga has been named after its founder, BKS Iyengar and is a form of Hatha yoga. It emphasises on the precision of asanas and breathing exercises. According to the official website of BKS Iyengar, "Iyengar yoga is meant for all and is a way of life. The use of props, designed by Guruji , such as wooden gadgets, belts, ropes helps the practitioner to achieve perfection in any asana. Regular practice of 'Iyengar Yoga' definitely integrates the body, mind and emotions." This style of Yoga makes use of different styles of props like, blocks, straps, harness, belts and blankets to perform asanas. These props make it easier to perform the asanascorrectly without straining any part of the body. The aim of this yoga is to unite mind, body and spirit with the help of a system of asanas. 1. Helps reduce high blood pressure. 4. Helps cure chronic back and neck pain. 6. Helps improve stamina, flexibility, concentration and balance. This style of yoga is influenced by the Tantra and Shakta schools of Hinduism and focuses on the release of the Kundalini energy. Kundalini energy is basically the primal energy at the base of the spine. The Upanishads of yoga describe this energy as a coiled snake at the base of the spine, waiting to be awakened. This type of yoga releases this untapped energy through the regular practice of meditation, pranayama, chanting mantras and asanas. 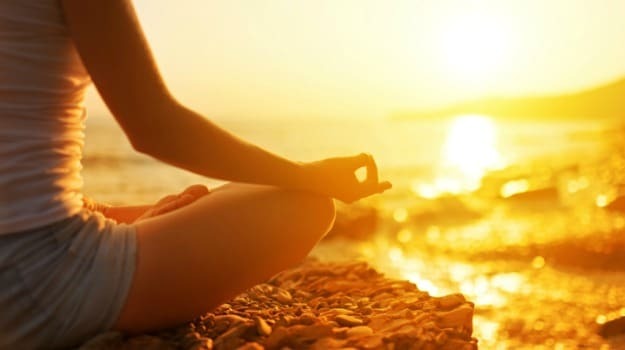 Kundalini yoga is also known as the yoga of awareness and through its practices, not only does one become aware of their untapped energy but also of the potential present in every human being. 1. Helps expands lung capacity and release toxins. 3. Strengthens the nervous system. 4. Brings balance to the body, mind and soul. Power yoga springs from the Ashtanga style of yoga. The term 'power yoga' was coined in the West during the mid 1990s and as the name suggest, this type of yoga is very intense in the nature of its asanas. Power Yoga classes vary from teacher to teacher. There is no set pattern or sequence ofasanas and each teacher has his or her own sequence which they follow. It is a fast paced and vigorous form of yoga where practitioners hardly takes a break between their poses. It continues in one sequence. It not only tests a person's physical strength but also their mental and emotional strength. This yoga is designed to strengthen the entire body and develop a person's willpower. It is very popular among sports enthusiasts. 1. Increases strength and flexibility. 2. Builds stamina, burns calories and fat. 4. Improves muscle mass and boosts metabolism.